DeMello Off-Road Evil Eye bumpers are complete bolt on and feature 1/4in winch mount construction directly tied into a 1/2 thick frame mounting that runs the height of the bumper and is part of the shackles. There is also 3/16in framing on the wings of the bumper to add further strength and tie it all together. 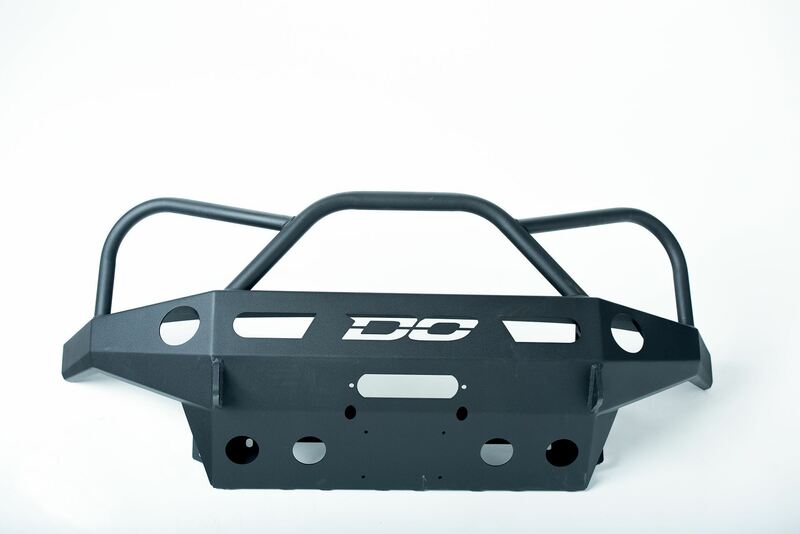 The skin of the bumper 1/8in plating for a durable but light weight construction. This bumper features a Unique three Hoop design that offer protection and a meaner look. Light weight high clearance construction rounds off this bumper. All our plate bumpers can retain any non-integrated winch up to 12,000 pounds. The driving light holes in the bumper are 4 inches in diameter. We recommend using Acro LED lights 2235's or 3840's. Other lights may work as the mounts have a simi universal bracket as long as the light is 3.5in or smaller in diameter. Steel bumper weighs 120lbs and ships UPS ground. Please note 2010-2014 FJC front bumpers will expose the hanging low water bottle. There are a number of replacements, please call for recommendations. 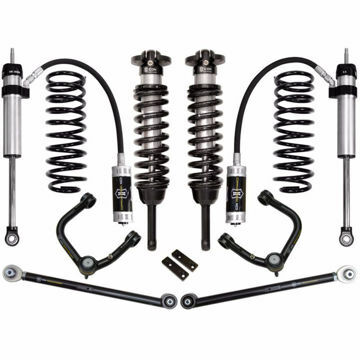 The Stage 4 suspension system w/ tubular UCA for the 2007-2009 FJ Cruiser is an entire new level of suspension. Where the difference in this Stage 4 kit is going to be seen and felt is in the rear of the FJ. 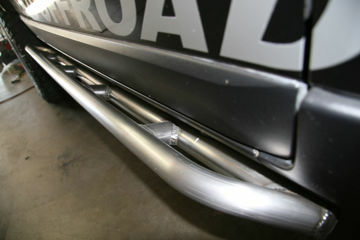 Bolt on round sliders for your 07+ Toyota FJ cruiser.